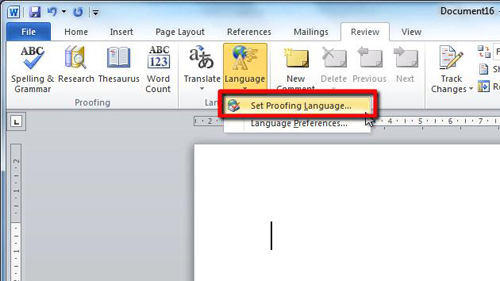 In this tutorial you are going to be shown how to change microsoft word languageso you can take advantage of features such as spell checker. Open Microsoft Word and in the tabs menu at the top you need to click on the “Review” tab. In the new options that appear you will see the “Language” icon, click on this and in the menu click on “Set Proofing Language…”. This will open the “Language” window. In this window you need to select the language that you want to change the system to. In this example we are changing it from “English (US)” to “English (UK)”. Select “English (UK)” from the list and click the “Set as default” button, and in the dialog box that appears, click “Yes” and then click “OK” to close the “Language” window and save the settings. 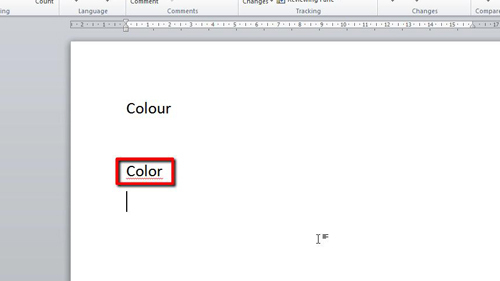 To make sure that we successfully changed the language lets type in a word that is spelt differently in the UK, “Colour”. 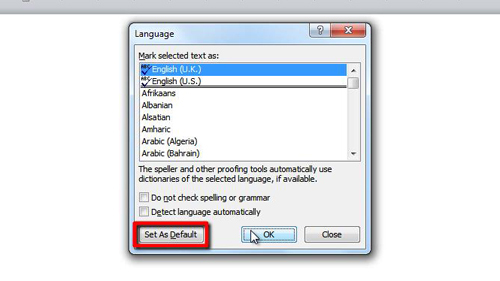 As you can see it tells us that the US spelling of the word is incorrect, and this is how to change microsoft word language.